On behalf of Dr. Dave, we would like to invite you, our new patient, to join our Patient Loyalty Program! Being a part of this program is both beneficial to you financially as well as in regards to your health. First and foremost, we want to thank you for taking the time to try out our office. Dr. Dave opened his practice here in Boise, Idaho in July 2011 and our patient base has grown exponentially since day one. With that in mind, we created the Patient Loyalty Program as a way to say thank you for being our patient and to offer an incentive for our patients who strive to maintain their oral health. 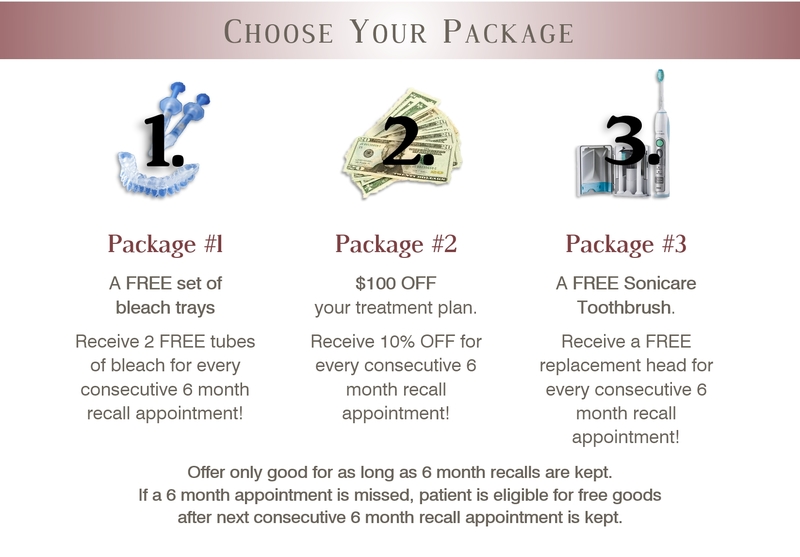 As our new patient, when you come back for your first 6-month recall appointment for a cleaning, you get the opportunity to pick one of three awesome packages to receive at each consecutive 6-month recall appointment! Thanks for joining the Victory Dental Family!